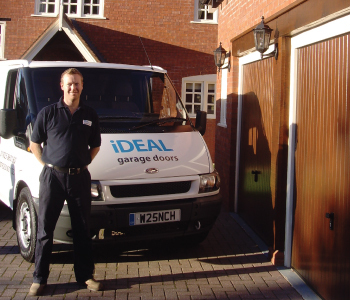 iDEAL Garage Doors is run by Mark Wrench, who has been in the Engineering, Garage Door/Gates and automation business for nearly 20 years. He has collected a vast array of qualifications and awards in Engineering, a Student of the Year award, a Silver Medal of Excellence, City and Guilds in Building and 16th & 17th Edition (Electrical Wiring Regulations). Mark prides himself in delivering the best possible service he can. He strives to ensure each customer is 100% satisfied with the service offered. He listens carefully to your requirements and will then provide you with a tailored solution that best suits your budget. 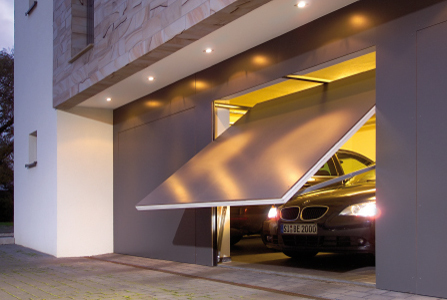 We are confident you will find iDEAL Garage Doors the "ideal" choice for your new garage door and/or automation of your existing garage door. "Ideal Garage Doors have now undertaken two projects for us. We wanted to say a big thanks for the work you did for us again – it’s fantastic! Their standard of work is absolutely first-rate and the results were precisely what we had hoped for. The attention to detail was obvious to see throughout the works and the results reflect that attitude and approach clearly. Their good, honest and professional advice helped us find what we were looking for. We were told when the works would start, how long they would take and how much it would cost – those commitments were delivered in full. The workmanship was excellent, the materials used were of extremely high quality and everything was left extremely tidy when the job was finished. If you are looking for a reliable and professional company to come and work on your property, then look no further than Ideal Garage Doors." "Mark Wrench has offered advice, performed repairs and annual maintenance for us to a very high standard. His work is always of an exceptionally high standard and his customer service is very professional, without exception, arriving promptly at the appointed time and date. We would not hesitate in employing him when we consider new garage doors and would recommend him highly to any prospective clients."